Not looking forward to paying full price? Our dealership provides Toyota Specials to offer you the best prices around. We treat every visitor in our store as an honored guest in our home. Take the pressure off buying a car. 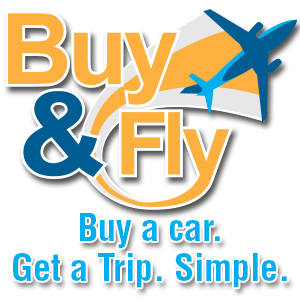 We want to work with you to get our best price on your next vehicle without the hassle. We want you to feel like a guest. If you’re not pleased with any part of the process, let us know so we can make it better! We recently bought a used car at Westbrook and were very pleased with the customer service we had on all fronts, from the help that Stacey gave us (even on her day off) to Patrick who completed all the paperwork. What particularly impressed us was that the service department replaced two major parts (free of charge) before we even picked up the car. Thanks! Recently purchased a RAV4, and the entire car buying process was smooth. The salesman I worked with, Jamie Santos, was incredibly helpful and explained all my options clearly and with respect. Enjoyable experience for purchasing my first car! I am very satisfied with the overall experience at Westbrook Toyota. From sales to service they are top notch in their professionalism. I have returned to them for my second Toyota purchase and will most likely return again. I have found that other dealerships don't compare with Westbrook Toyota, they have set the bar very high. Thank you Joyce Scarlett and Jose Espinosa. JAMIE is a excellen saleman he,s very very pleasant. We recently purchased a 2019 Toyota Corolla, and it was an amazing experience! My husband and I have been leasing and buying vehicles from Stacey Coleman since 2014. She really listens to what your needs are and has been able to find us the best deals possible that made sense for us. She is thoughtful and cares about her customers. She stays in contact and is always readily available with any questions, concerns and sharing of information. During this transaction, we also had the pleasure of meeting the General Manager, Doug Anderson who went above and beyond to get us the financing we needed. He made it all possible. It was an exceptional experience all the way around! I would HIGHLY recommend Westbrook Toyota simply because they care, and that is a rare find. We bought a new Highlander at Westbrook Toyota and the experience was by far the smoothest compared to the previous dealerships we’ve worked with. Totally worth the hour drive for great service! A big thank you to Stacey, Edgar, and John for making my car buying experience enjoyable and easy. I bought a Tacoma from Jason about 3 months ago and it was by far the most pleasurable vehicle buying experience I have ever had. This time I needed a commuter car and there was only one place I'd go, Westbrook Toyota! Big thanks to Jason, Edgar, and Jose for making my car buying experience enjoyable and easy! We can help you get into the car of your dreams at a price you can afford. When you shop with Westbrook Toyota, our primary commitment is to outstanding customer service; it’s our belief that everything extends naturally from there, and if we operate with respect, integrity, and a customer-centric approach, a great car-buying experience ensues. While we truly love the Toyota lineup, there’s nothing we value more than our customers from Westbrook and the neighboring areas of Middletown, New London, Branford, & Guilford, CT. From your first new Toyota car, truck, or SUV to your fifth, we’re here to welcome you to the Toyota family, and we make sure to treat you like family, too. It’s just one of the reasons drivers all across Connecticut keep coming back to us for new cars, crossovers, SUVs, or trucks, and for all their Toyota-related needs thereafter! In our commitment to excellent service, we’re always trying to improve, which is why we invite all our customers to contact us with any questions, comments, or concerns. Someone from our team will read what you have to say and personally respond to your query. Any questions or comments we get helps us improve our services, so don’t hesitate to reach out! It’s our goal to deliver one stellar customer experience after another-service becoming of the Toyota brand! When it comes to our valued customers from Westbrook, CT and beyond, we strive to offer only the best-that’s why we sell Toyota, after all. But our “best” applies to both our new Toyota cars, trucks, and SUVs, as well as our pre-owned car, SUV, or truck and Certified Pre-Owned Toyota inventories. Throw in our commitment to the best customer service around, and you’ve got a recipe for a fun, exciting car buying experience. We love to sell Toyota and it’s what we do best, but we aren’t like most other car dealerships out there, and we won’t treat you like ‘just another sale’-we’ll treat you like another member of the family, because when you buy your new Toyota RAV4, Camry, Corolla, Highlander, Tacoma, Tundra or Prius with us, you are joining a family, the Toyota family. The Toyota brand embodies expert engineering, fresh design, cutting-edge technology, and family-friendly features, all rolled into one vast and diverse lineup. With sedans, crossovers, SUVs, & pickups all holding a place in the lineup, you can find a car that fits your lifestyle, personality, and driving needs. You can even compare and research new Toyota models right here on our website! 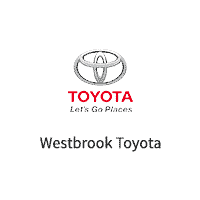 Drivers from Westbrook, CT who are looking for the perfect division of quality and value don’t have to look any further than the Toyota lineup and our Westbrook, CT showroom. It doesn’t matter if you are looking for a new or used toyota, because there’s no wrong way to join the Toyota family! Once you find that perfect Toyota Prius, Tacoma, or RAV4, the hard part is actually behind you, because our stellar finance team truly knows their way around a deal, and they work hard each day to track down the most competitive auto financing solutions, so whether you’re electing to purchase with a loan or you’re interested in spending a few fabulous years with a Toyota lease, these are the folks who can make it happen for you! Not only is our Finance Team knowledgeable and awesome at what they do, but we’ve taken some steps to make the auto financing process a little less unwieldy and unfriendly. You can apply for financing online, evaluate your trade-in vehicle, and even calculate a payment estimate. No more going in blindly! Take the hassle and the guesswork out of auto financing by streamlining your process with our handy online tools!